The ticket seller at the Polly Woodside Tall Ship at Melbourne’s South Wharf looked at a large card that he was about to hand me. “Looks like you’re an Able Bodied Seaman,” he said, passing it over. It was a Certificate of Competency and it said that I was Theodore Slosky, a 31-year-old able bodied seaman with a broken nose, who was born in Bohemia. Assigning visitors an identity seems to be the new rage amongst museums. Or maybe it’s an old rage that I rarely came across. 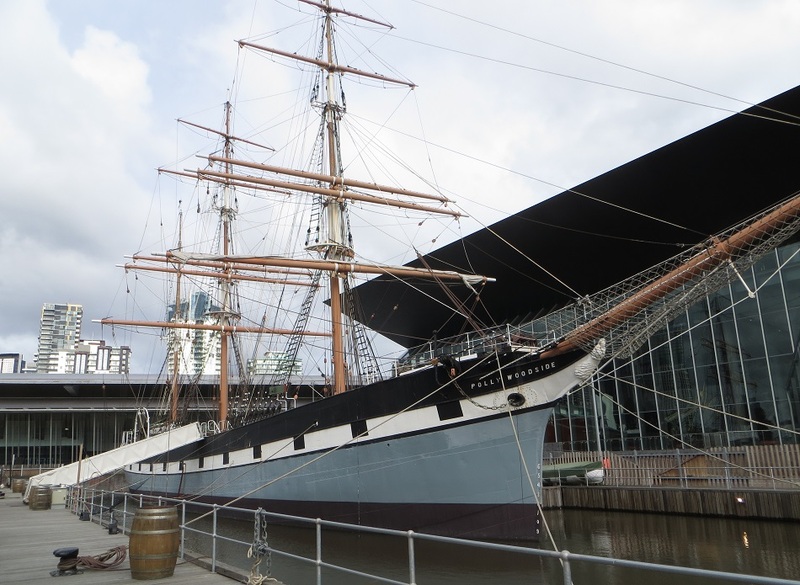 The Polly Woodside, launched in Belfast, Ireland in 1885, was a three-masted barque that operated, during various periods of her life, as a cargo vessel, a military refueling vessel and a coal lighter. 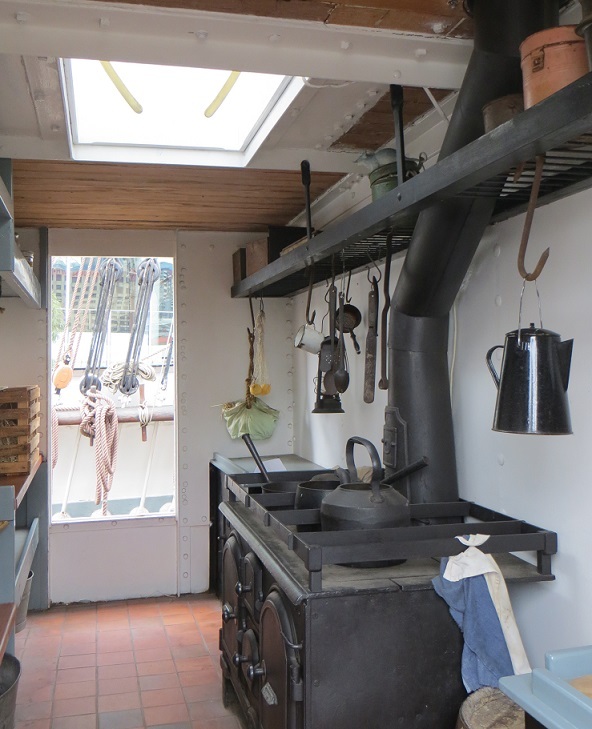 Named after the wife of the first owner, she was the last square-rigged, commercial ship still sailing when she was sold to the National Trust of Australia in 1968, for one cent, to be restored as a museum. She opened to the public in 1978. I passed through a small museum (few original artifacts and many more interactive exhibits for children) and a short film (a very good one based on the 1904 diary of ship’s carpenter George Andrews) before heading outside to the ship. We were told that cabin boys – aged 9 or 10 when they first sign on – are the lowest on the ship totem pole. 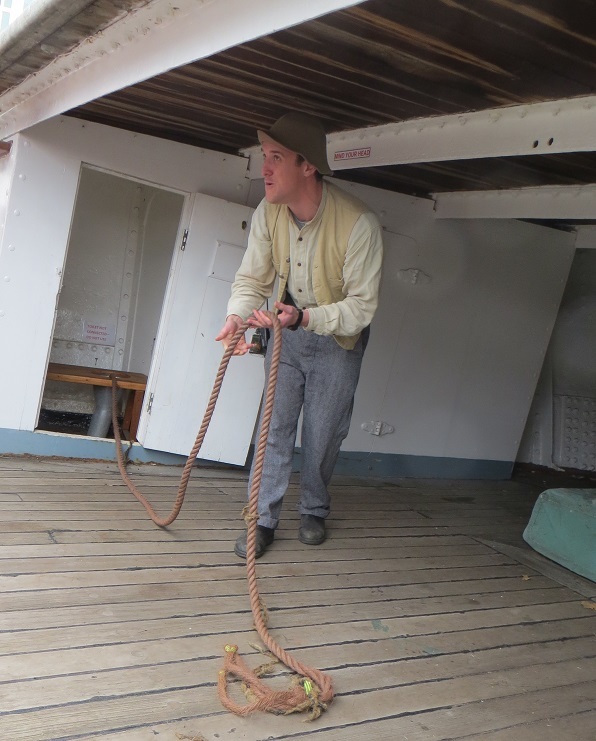 Then the children on the tour are given push brooms and buckets of water and taught to scrub the deck. That turned out to be one of the better cabin boy jobs. When we got to the head, the guide pulled a long rope out of the toilet and asked a teenaged girl to hold its drooping center. “What do you suppose this is for?” he asked us. No one even tried to guess. “It’s to wipe yourself with,” he said. On cue, the girl dropped the rope. “It was the cabin boys’ job to wash it at the end of every day, for reuse.” The take-away: don’t pick up bits of old rope off the beach. It could be naval toilet paper. Gallery | This entry was posted in Victoria, Australia and tagged George Andrews, Melbourne, Polly Woodside. Bookmark the permalink. Oh no! He didn’t! The guide would so be picking his teeth up off the deck had the tourist been me. 😉 Well maybe after I ran away squealing and upchucking over the side. But on a serious note, I take it to the rope hasn’t been in use, at least not in that way? He did. And the girl’s reaction was priceless. The rope was new. I hope…. Always wanting to be a Bohemian is a given. Learn something new every day – Whether you want to or not!! Makes the Roman use of a sea sponge on a stick seems positively luxurious.